As executive director, Sandy has overseen the vision and growth of Our Saviour’s Community Services since 1999. Under her leadership, the organization has quadrupled in size, while remaining committed to a “small program” environment where personal relationships thrive. The dedication of her staff and the incredible resilience she sees each day in students and residents inspire Sandy and give meaning to her work. Prior to working at OSCS, Sandy directed Southeast Asian Ministry in St. Paul, serving refugees from Southeast Asia. Previous to this, she served a congregation in Detroit, Michigan where she oversaw a rotating homeless shelter program. 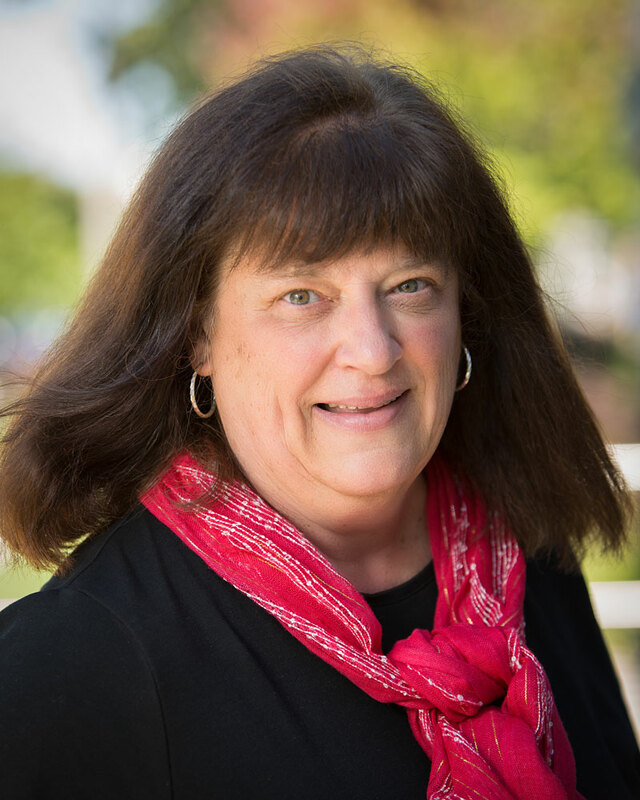 Sandy has a Master’s degree in Educational Administration and has taken extensive coursework in nonprofit management. Before her work in the nonprofit community, she spent 10+ years as a classroom teacher. Carol first came to OSCS as a volunteer English teacher and later joined the development team as an employee. She splits her time between applying for grants, communicating with donors, and managing the donor database system. If you have a question about a donation or need to change your address, Carol can help you with that! She loves seeing the generosity and commitment of donors and volunteers and admires the grace of residents and students. They have endured so many injustices and have the strength to keep moving forward. Previously, Carol worked at RBC Global Asset Management as a writer and content manager. Before that, she earned a doctorate in English at Vanderbilt University and taught English, women’s studies, and cultural studies. She joined OSCS as Development Associate in August 2016. Kathleen loves being a part of helping people reach for their individual dreams. 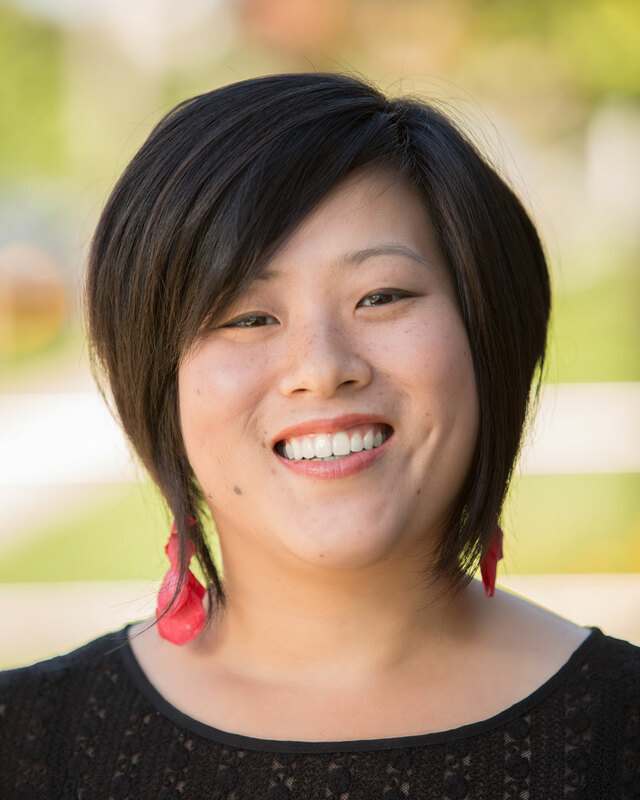 She works with residents and students at OSCS out of recognition of our common humanity. She wishes others could read beyond the false narratives that are often portrayed in the media and then projected onto our students and residents. Kathleen enjoys developing the “story of OSCS” to share with foundations, corporations, and supporters who just don’t know us yet! 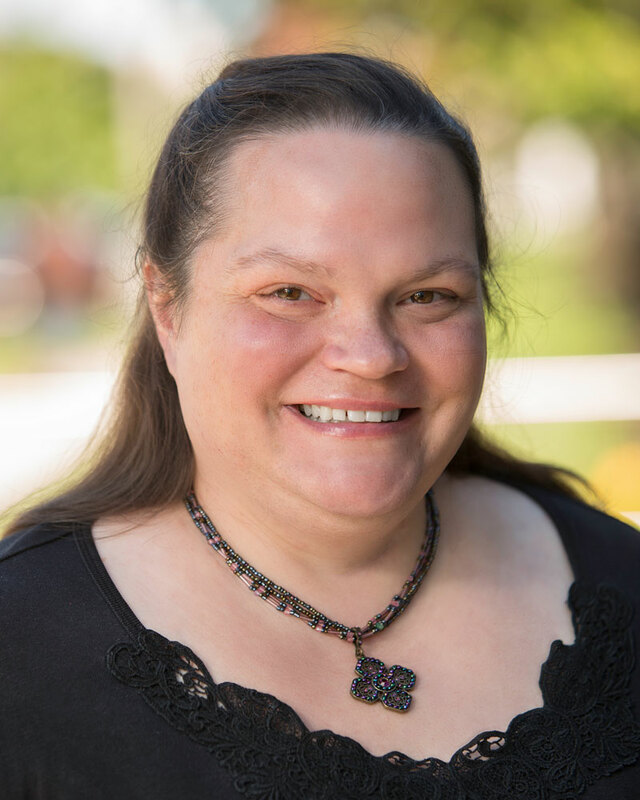 Kathleen fulfills her deepest purpose when she connects people together through conversation, music, and spirituality. Prior to coming to OSCS, she managed the bookstore of St. Martin’s Table, a ministry of the Community of St. Martin. 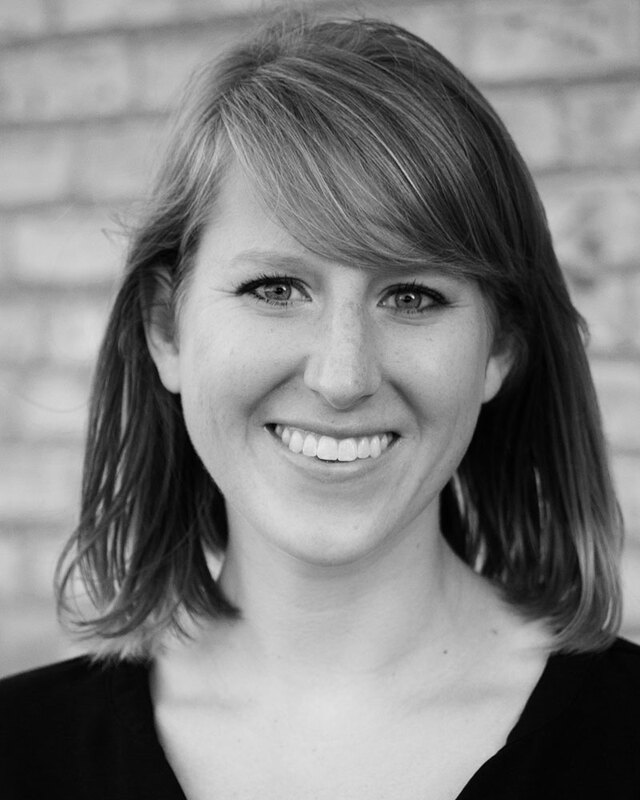 Kathleen studied at St. Olaf College and shares in music ministry roles within several communities of faith. Kathleen joined OSCS as Grants Specialist in February 2012. As bookkeeper, Liz tracks every penny in and out of OSCS. Among many other things, she ensures that rents for more than 100 residents in the Permanent Supportive Housing Program are all paid on time. Although Liz doesn’t work directly with students or residents, she’s motivated by knowing she’s making a difference in people’s lives. With an educational background in culture and language, she also loves seeing (and hearing) the variety of people that OSCS serves. Liz came to OSCS in May 2006 with a B.A. in anthropology and French and six years of experience working in law firms. She had no bookkeeping experience but was good at math and detail-oriented. As OSCS grew, she returned to school and received a B.S. in accounting, followed by a M.S. in accounting. Amanda began working at OSCS through good timing and a series of fortunate events. She stays because of excellent colleagues, passion for the mission, and the chance to put her creative skills to use. As a resident of South Minneapolis, Amanda’s grateful to be working in her community and wishes more people recognized the disparities that exist in their own backyard. She spends her days sharing stories and connecting others to the work of OSCS. She’d love to hear from you! Amanda has ten years of experience in the nonprofit sector and holds a B.A. in English from the University of Minnesota – Twin Cities. One of the most transformational experiences of her life was serving as a full-time, live-in volunteer at Annunciation House, a hospitality house for immigrants and refugees in El Paso, Texas. She is currently pursuing a Master’s in Organizational Leadership at the University of St. Catherine and sits on the board of Mary’s Pence. She joined OSCS as Communications Manager in July 2012. Krista felt called to this work by a strong commitment to equity and justice and a desire to leverage the privilege she experiences to serve those who are struggling. She wishes others truly understood all the obstacles working against people experiencing homelessness. The world often portrays homelessness as an individual failing or the result of a personal tragedy. Through her decade of work in homelessness, Krista has come to see that oppressive systems and inequity are more culpable causes. This leads her to believe that homelessness is a collective problem, not an individual one. Krista is a compassionate professional who specializes in work with individuals experiencing homelessness or unemployment. 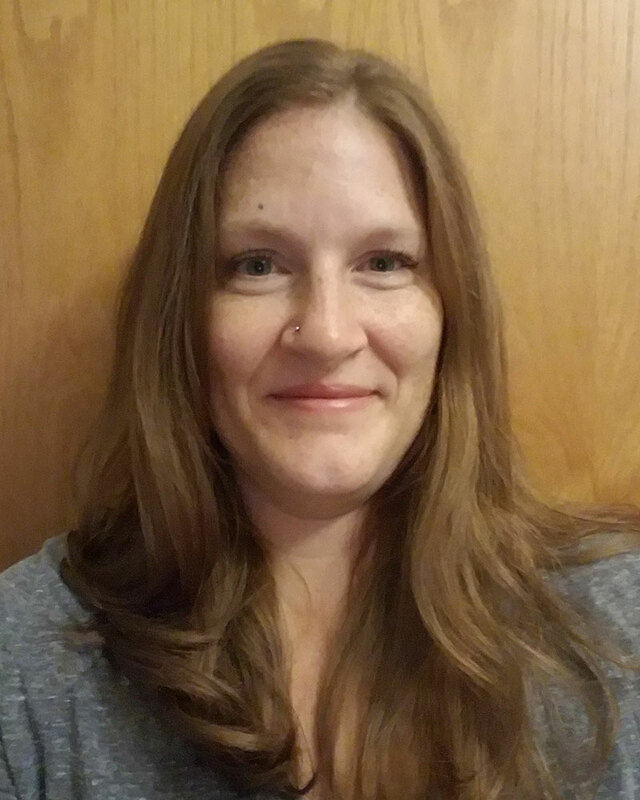 In 2008, she began working with youth experiencing homelessness and poverty, before becoming the Shelter Manager at OSH in 2014 and Program Director in August, 2017. Krista hails from the University of Wisconsin-Madison with a bachelor’s in English and is pursuing a Master’s degree at the University of Minnesota-Twin Cities. 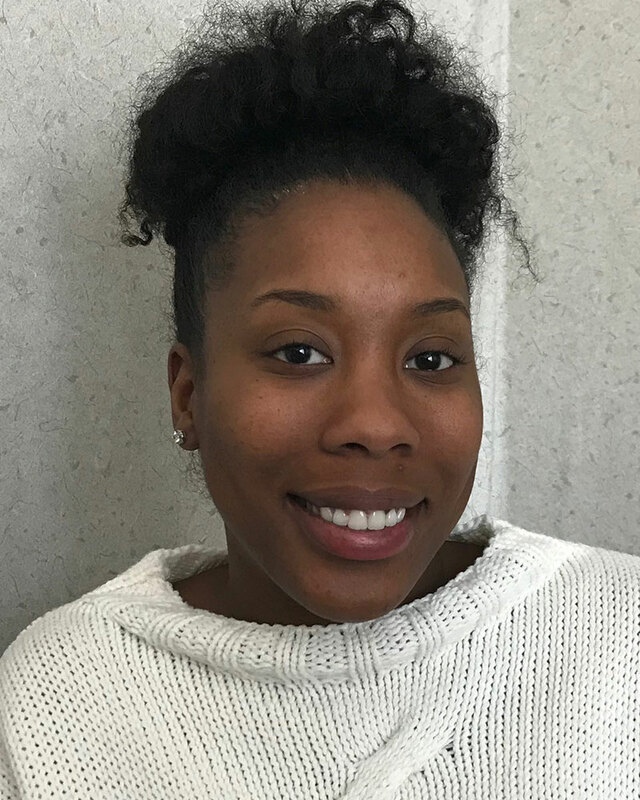 Ask La’Quadra why she chooses to work with individuals experiencing homelessness, and she’ll tell you that the work chose her. After volunteering in multiple homeless shelters, she realized that this is the field where she is supposed be. She believes it’s important to use her skills, privileges, and voice to advocate for those who are marginalized and wishes that others understood the road blocks many face in finding affordable housing. 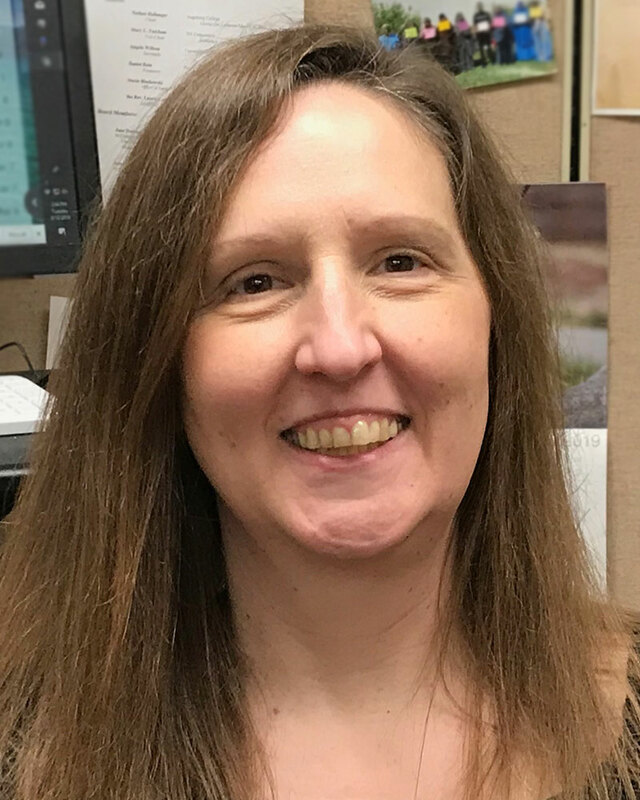 She spends her days at OSH assisting residents to get their basic needs met and tending to the operating tasks that keep the shelter running smoothly. La’Quadra has worked in human services since graduating with a Bachelor’s degree from the University of Minnesota-Twin Cities in 2014. She joined OSH as Shelter Manager in October, 2017. “Our job is to love others without stopping to inquire whether or not they are worthy.” This quote from Thomas Merton best describes why Tamara chooses to work with vulnerable and under-served populations. She wishes more people understood that individuals experiencing homelessness are human beings who deserve to be treated with respect and dignity. In her work at OSH, she sees that everyone has their own unique story, and every life is valuable. From day to day, Tamara coordinates over 2000 volunteers and receives in-kind donations. Tamara brings over 10 years of experience working in the nonprofit field and a B.A. in Arts Management. Previously, she worked for MN Adult & Teen Challenge, the Minnesota State Bar Association, and the HOPE Center in Rapid City, SD. 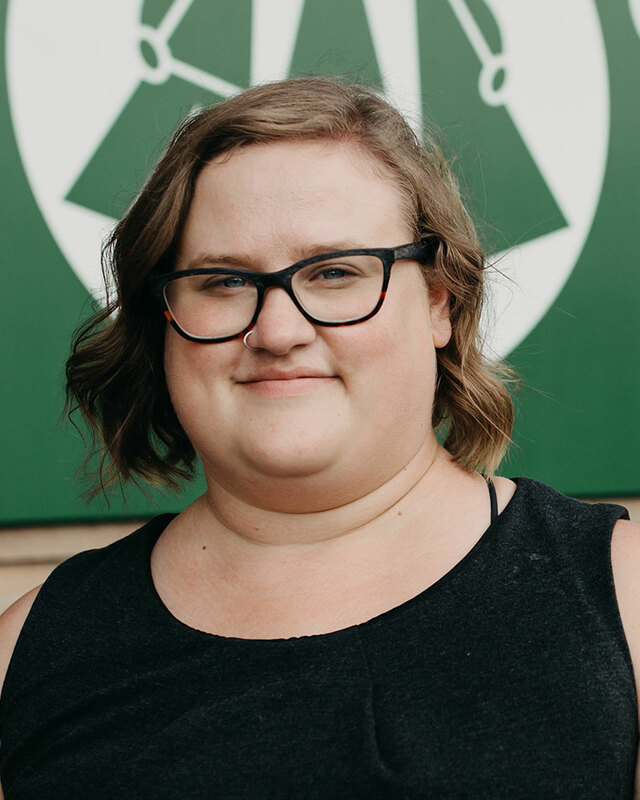 She also spent a year as an AmeriCorps VISTA, coordinating the Faces of Homelessness Speakers’ Bureau for the National Coalition for the Homeless. She joined OSH as Volunteer Coordinator in February, 2018. Since beginning work with immigrants and refugees, Jennifer has probably witnessed nearly one hundred people over the age of 18 write their names for the first time. On each occasion, she’s convinced she’s bearing witness to students’ increased ability to write their futures. She believes that all people share an inherent right to define themselves and that communication and education help to make this possible. 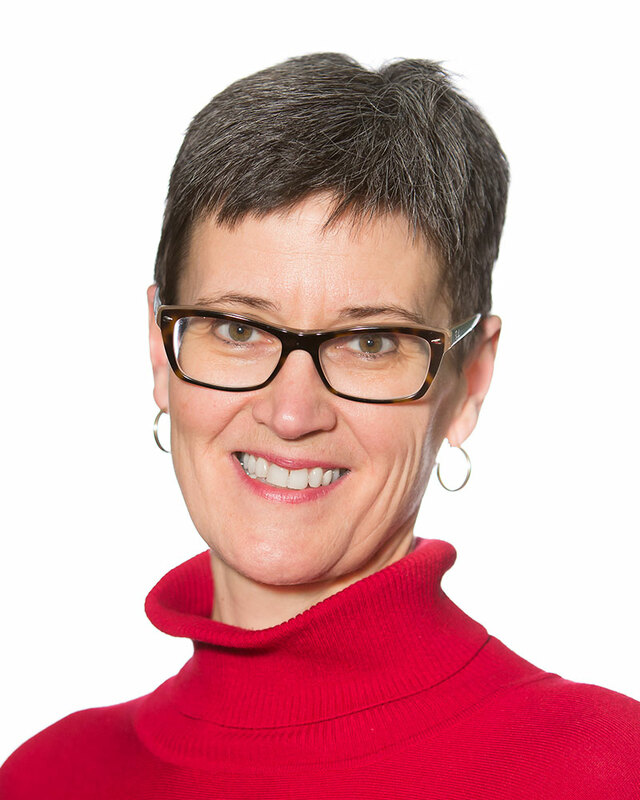 Jennifer holds a Master’s Degree in International Development and a Certificate of Nonprofit Management from the University of Minnesota – Humphrey School of Public Affairs. She is an AmeriCorps VISTA and Fulbright alum, both opportunities that helped lead to her career interests and to develop the community-building, teaching, and collaborative skills she uses daily in her work now. Before returning to the ELC as Program Director in June 2018, she worked for the organization as an education assistant and development associate. Hayat works at the ELC out of a sense of community. As the product of a refugee family from Somalia, immigrating to the U.S. in 2000, she relates to the students’ experiences. Seeing their determination and drive to succeed fuels her to continue to do the work she does, connecting volunteer teachers with students in the classroom. Regardless of the setbacks students have faced in life, they do not let those experiences stop them from pushing forward. They inspire her every day to continuously be a better version of herself. 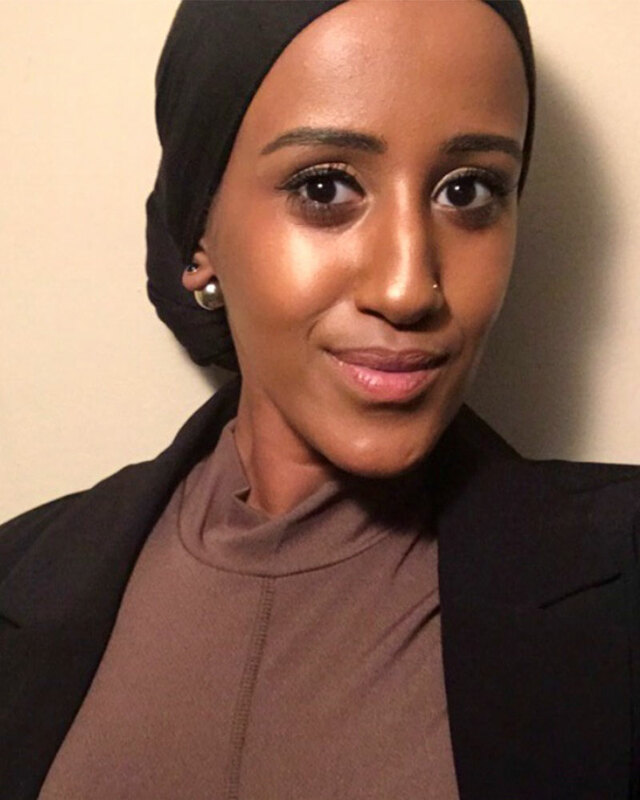 Hayat graduated from the University of Minnesota – Twin Cities with a degree in Family Social Science and is pursuing a graduate degree in Social Work. She joined the ELC as AM Volunteer Coordinator in September, 2017. Hannah chooses to work with New Americans because in every chapter of her life abroad, she has been welcomed with radical hospitality. She feels called to offer the same welcoming presence to those adjusting to life here in the United States. She sticks around for the “Ah-ha!” moments, the smiles and high-fives when a student starts to feel welcome at school, and the occasions of kindness and grace that remind her she’s constantly learning alongside students too. When Hannah’s not ensuring volunteer teachers have what they need to be successful in the classroom, you might find her stopping by the mall down the street for a sugar boost of traditional Somali tea! 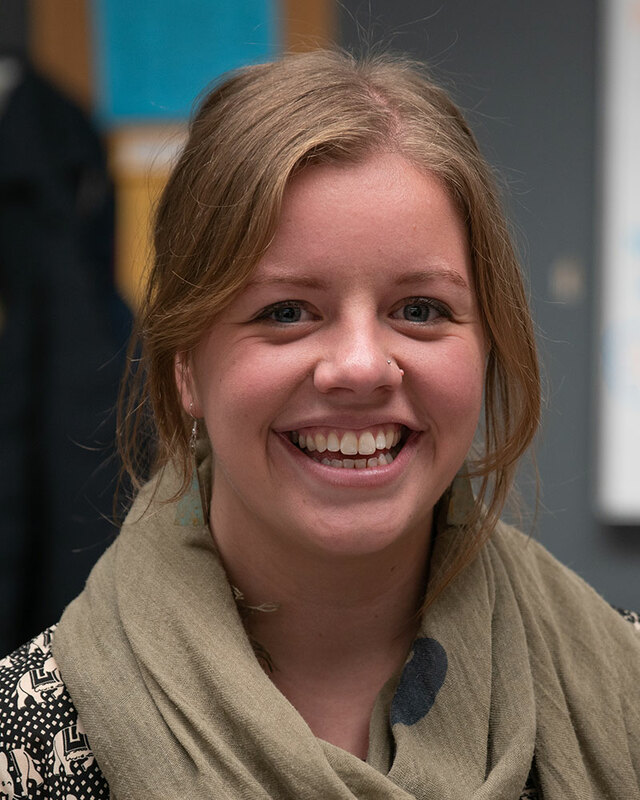 Hannah graduated from Gustavus Adolphus College with a double major in Spanish Language and Latin American Studies and then spent a year teaching English in Central Mexico. Shortly after moving to Minneapolis, she found the ELC in October, 2017, and has loved her role working with adult English language learners and volunteer teachers ever since!